2016 Cruise for a Cure for Carter-No One Fights Alone! We would like to say thanks to everyone for making our event such a great success; we could not have done it without each and everyone one of you. Thanks to all of our participants that did the run, hope you enjoyed it and all of the stops. Thanks to all of our sponsors for your donation to our event, generous donors like each of you helps to make our event the best it can be. Thanks to "UC Irvine Child Life Program" for allowing us to do this event again and coming out to make it a very special day. See all of our wonderful business sponsors below. 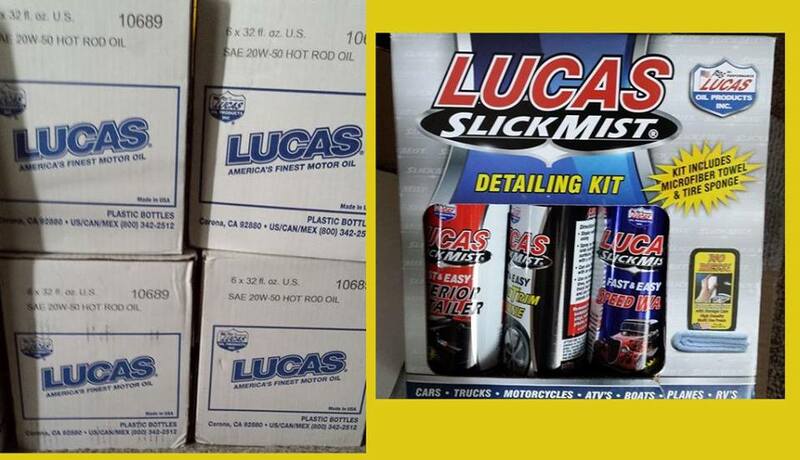 Would like to say Thank you to Lucas Oil for being a returning donor and for sending us Qty 4 Detailing Kits and Qty 4 Cases of oil for our Charity Poker Run Raffle. We would like to say Thank You to Rimco-VW for being a returning donor and for sending us Qty 5 gift certificates for $25.00 Each for our Charity Poker Run Raffle. We would like to say Thank you to the folks over at AA Performance Products for sending us a VW 85.5 mm 11 Piston & Cylinder Kit for 1600 cc and the Bench Mount Engine Stand to include in our charity raffle. We would like to say thanks to Flappers Comedy Club Burbank for being a returning donor and for giving us 20 Tickets to include in our Raffle for the Charity Run. So if you win this you can get a few of your close friends together for dinner, drinks and some really great laughs. We would like to say thanks to iO West (formerly Improv Olympic West). for being a returning donor and for giving us 10 Tickets to include in our Raffle for the Charity Run. So if you win this you can get a few of your close friends together for dinner, drinks and some really great laughs. We would like to say thanks to SURVIVAL FROG for sending us Qty 5 POCKET LIGHT COLLAPSIBLE SOLAR LANTERN & USB CHARGER to use in our Charity Poker Run Raffle.